One of our favorites. 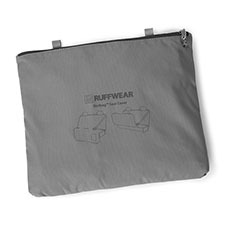 The Ruffwear Dirtbag Seat Cover is a durable, waterproof cover protects car seats from anything your dog can drag in! 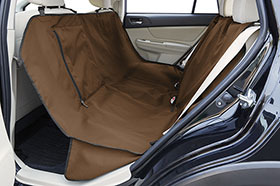 What's amazing is that it has a convertible design that let's you use it as a rear car seat cover or as a hammock seat cover (which covers the back of your front seats, too). Great side flaps to keep edges clean. Machine washable.